Sonny Moore has been spotted around Cape Town after playing at Ultra over the weekend, but on Tuesday night he dropped a bomb on Twitter saying he's rolling up to Untamed Youth; a weekly party night at Long Street nightclub Fiction. Being a weeknight, the organisers set up a Whatsapp group for surrounding residents to inform the club management of excessive noise. They were not expecting this. 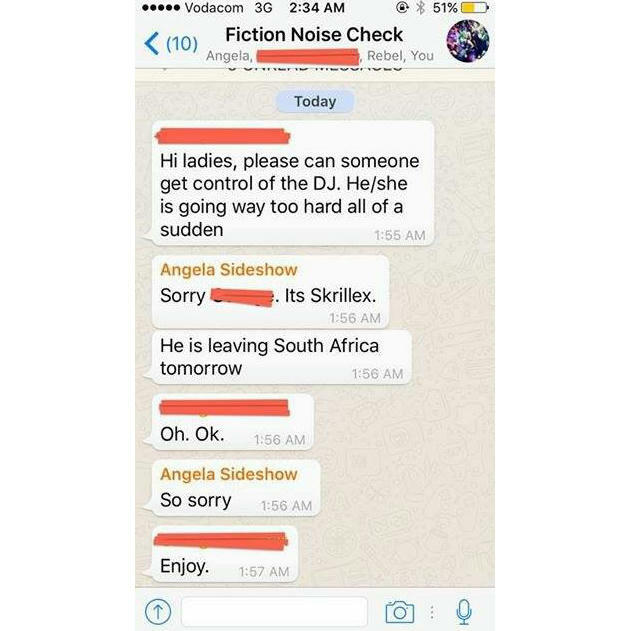 Skrillex's explosion onto the decks at the club was heard all over the busy street, luckily for the management Skrillex was able to get away with the excessive sound thanks to a very understanding neighbour. Maybe there is a God after all. Could Pierre Pienaar's collaboration with Paul Van Dyk be the future of trance? The world's foremost festival lighting designer gives us the run down on his craft.